Islamabad: Use Hawala Hundi system for transfer of money to Pakistan, says Imran Khan to overseas Pakistanis. 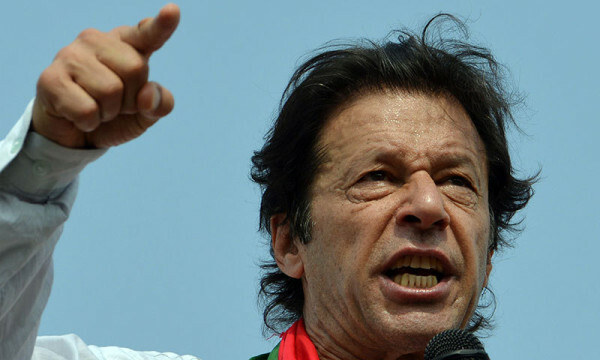 The Chairman of Pakistan Tehrik-i-Inasaf (PTI) Imran Khan has directed his followers living outsides Pakistan to stop sending money to their families in Pakistan through banks(remittances) and directed them to use Hawala Hundi system for transfer of money to Pakistan. He passed these directions while addressing his workers on Saturday night. Chairman Pakistan Tehrik-i-Insaaf (PTI) Imran Khan on August 17, 2014 announces Civil Disobedience against sitting government asking his workers and followers not to pay any utility bills and taxes. Now he has directed to stop sending remittances to Pakistan. Hawala or Hewala also known as hundi, is an informal value transfer system based on the performance and honour of a huge network of money brokers, primarily located in the Middle East, North Africa, the Horn of Africa, and the Indian subcontinent, operating outside of, or parallel to, traditional banking, financial channels, and remittance systems. This is the biggest channel being used by Arab and Afghan terrorists including Al-Qaeda to transfer money and finance their projects, therefore this channel is being discouraged by Pakistan since war on terror.